Metamorphosis – one of the greatest mysteries captures children’s attention. How can a caterpillar transform and become a butterfly? 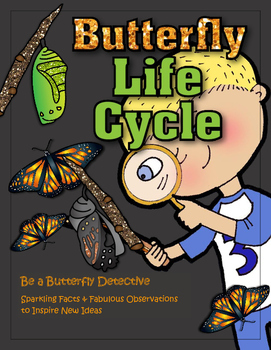 Use cards to help enhance students’ understanding of the life cycle. There are also some activities where observations from eggs, caterpillars, chrysalis, and butterflies are used as inspiration to get new ideas. Hopefully, these activities will make the learning fun and engaging. 2. Can you identify the different stages? 3. What is the connection between a caterpillar and a butterfly? 4. What do caterpillars and butterflies eat? 9. Caterpillars are. . .
10. Butterflies are. . .
15. ”Eggcited” about butterfly eggs! 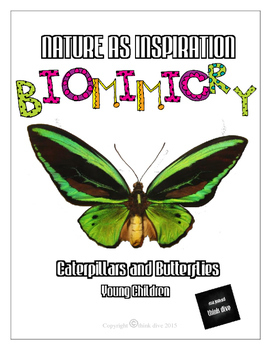 For more ideas to study caterpillars and butterflies look at the booklet about Biomimicry. In this booklet the aim is to use the observations of caterpillar, moths and butterflies to design and invent things. Students can design a robot inspired by moths. Moths fly in the dark and their use their hairy antennea to help them find the way. They also have special eyes, anti-reflective, that helps them to fly in the dark. Biomimicry an exciting approach to study animals and plants! 5. Make a list of things that caterpillars can do. 15. What if you could measure a crooked line? 19. Make a list of things that butterflies can do.